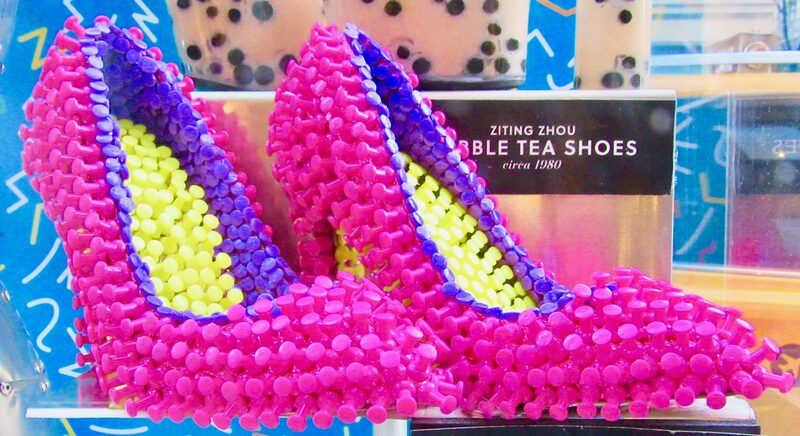 Push Pin Pumps By Laura Escamilla! 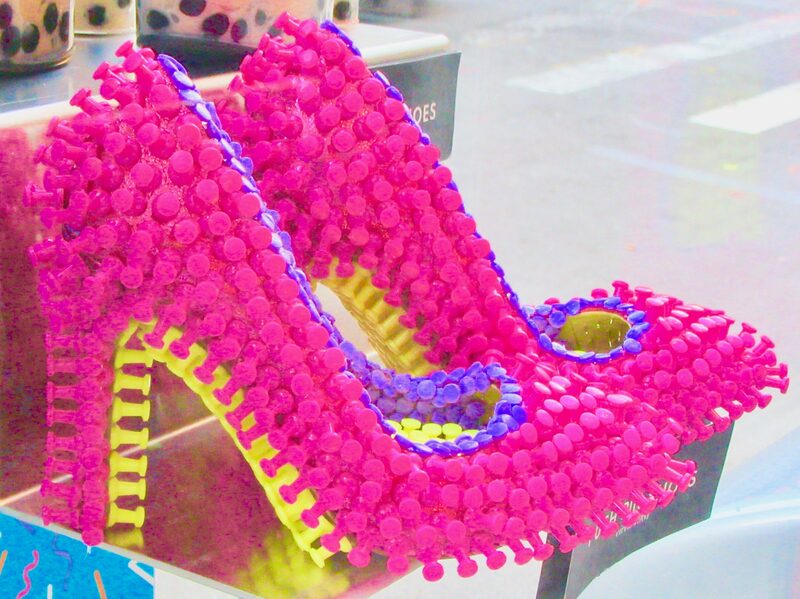 Beautiful shoes can certainly be considered works of art, and in the case of these Hot Pink beauties created from ordinary push pins, that is exactly the case. These striking Push Pin Shoes (1981), designed by Laura Escamilla, were part of a Public Art Installation called Obsessorize: Common Objects Uncommon Accessories, a joint venture between Madison Avenue Business Improvement District (BID) and students at the SVA 3D Design department. 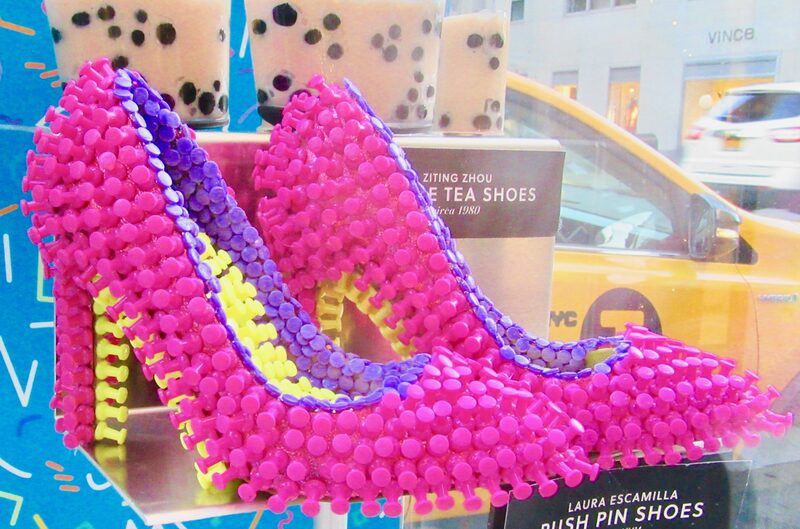 These shoes were spotted somewhere along Madison Avenue in the upper 70s. The exhibit was co-sponsored by Marie Claire magazine.